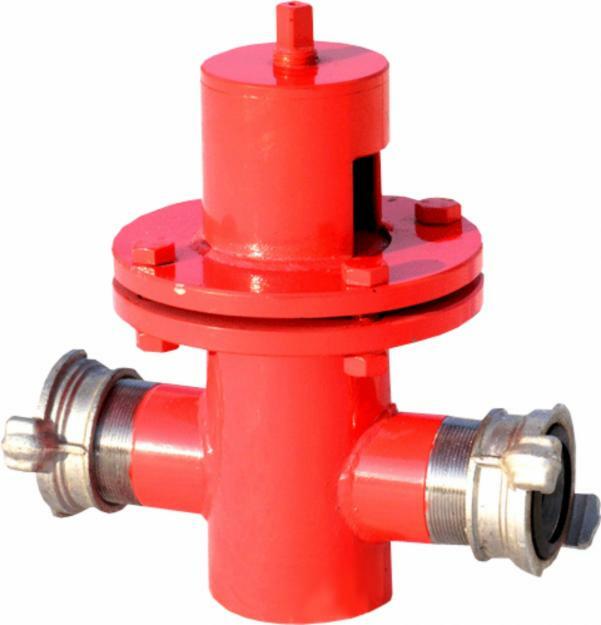 Fire hydrant - a device for the selection of water from a water supply system for fire fighting. Колонка пожарная — a device for opening (closing) of underground hydrants and fire hoses joining for the selection of water from water supply systems for fire purposes. 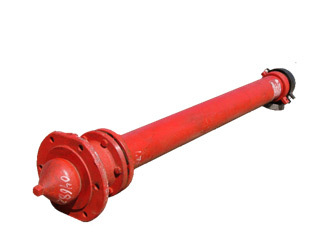 Distinguish between surface and underground fire hydrants. Underground placed in the well, the lid closed, or set fire to the stand (as well as in the well) and covered with soil, in the case of the so-called beskolodeznoy installation. When beskolodeznoy hydrant installation is not completely filled, and the upper part with a thread for screwing the column of fire hidden under the carpet with hatches. 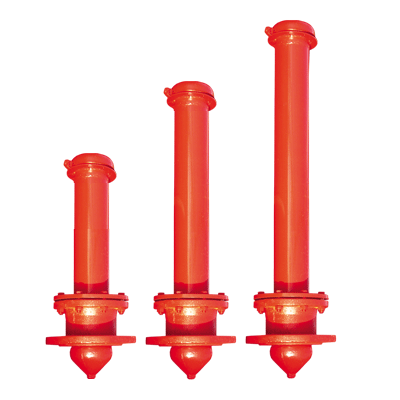 For the selection of underground water on the fire hydrants screwed column having 2 output socket for connecting a hose. Example ground fire hydrant - a hydrant column, serving for water withdrawals on farm and in the fire needs; is a combined version of the water pump and ground fire hydrant. Water lines, as a rule, paving the ground. Allowed ground and above-ground laying, laying in tunnels, as well as laying water lines in the tunnels, together with other underground utilities, except for pipelines transporting flammable and combustible liquids and flammable gases. When laying lines of fire (and combined with the fire) water supply tunnels fire hydrants should be installed in wells. When ground and above-ground water pipeline above ground hydrants are installed directly on the network. In this case, fire hydrants and valves breaking ground should be placed in the cells, excluding fire hydrants from freezing at low outdoor temperatures. Russian Federation, Kaliningrad, Portovaia street, 45 "A"